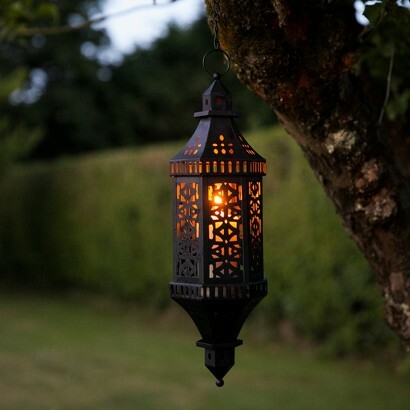 Transform your outdoor space into a welcoming Moroccan souk with decorative lanterns lit by pillar candles. 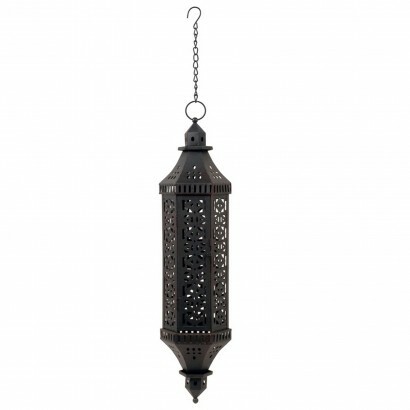 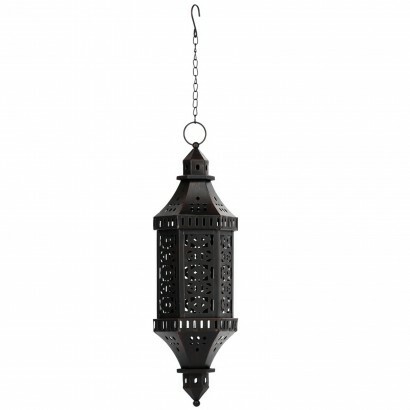 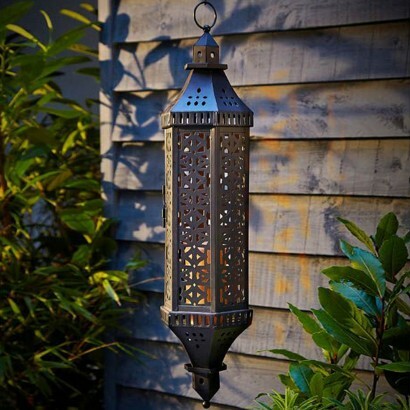 Enjoy an authentic ethnic vibe with stunning metallic lanterns flickering with real flames designed for hanging around your garden for magical summer nights. 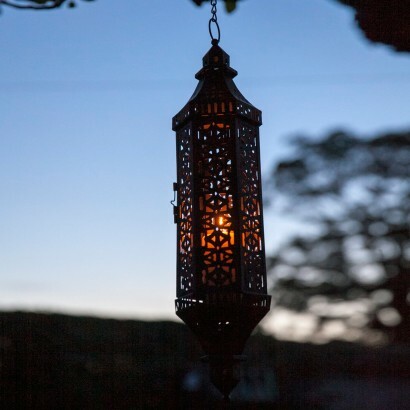 These sturdy metallic Kasbah lanterns are available in two sizes and look fantastic when hung in clusters or individually on lazy summer evenings for a soothing atmosphere.